I love throw pillows! I mean LOVE them!!! 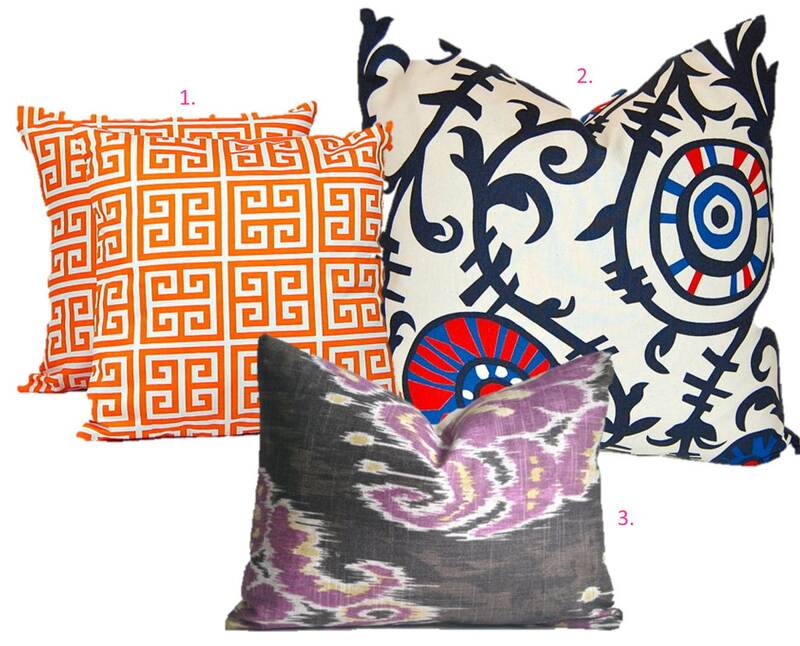 You know that scene in Along Came Polly where Jennifer Aniston and Ben Stiller stab all those beautiful throw pillows??? That was devastating not funny! Who cares that you have to spend an additional two minutes each day fluffing them and straightening them? They are like little pieces of comfy art! 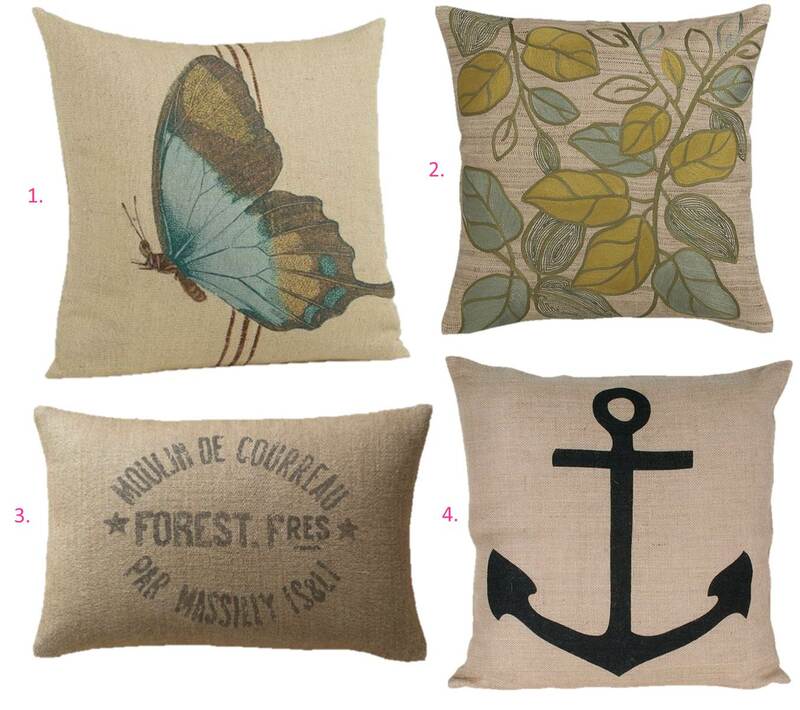 I'm on the hunt (as always) for some new pillows for my living room, TV room and office. Yes, I need a throw pillow for my office, ok? And maybe my bedroom. Basically, I just need more! 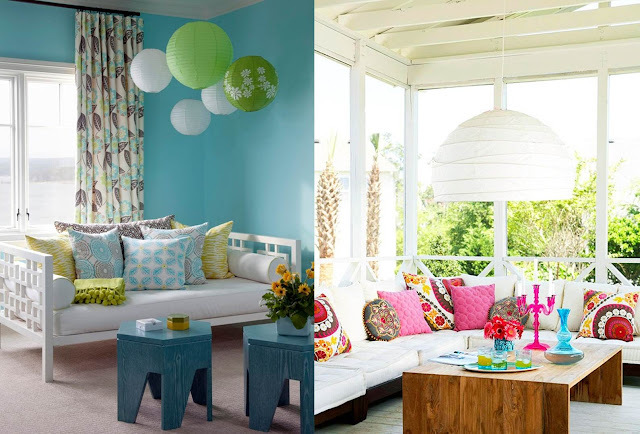 It's a great way to add a pop of color or perhaps change up the look of a room without having to redo the entire space. It's also a great way to transition your decor from winter to summer or vice versa. So you could have bright pops of color for spring/summer and then change over to more jewel tones for fall/winter. 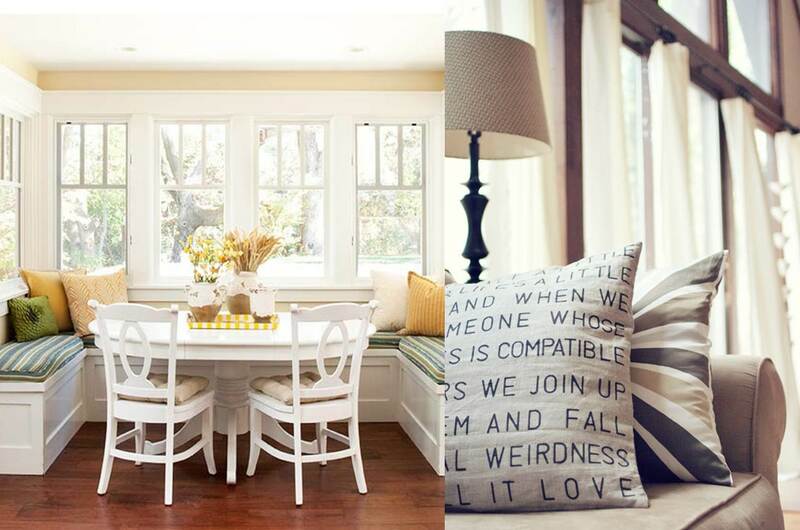 I also love that they give your space some personality. If you're a little more daring, maybe you go with an ikat print. Or if you're a little bit more laid back, you stick with a neutral with either a message or image stitched in. A great resource for throw pillows is Etsy! 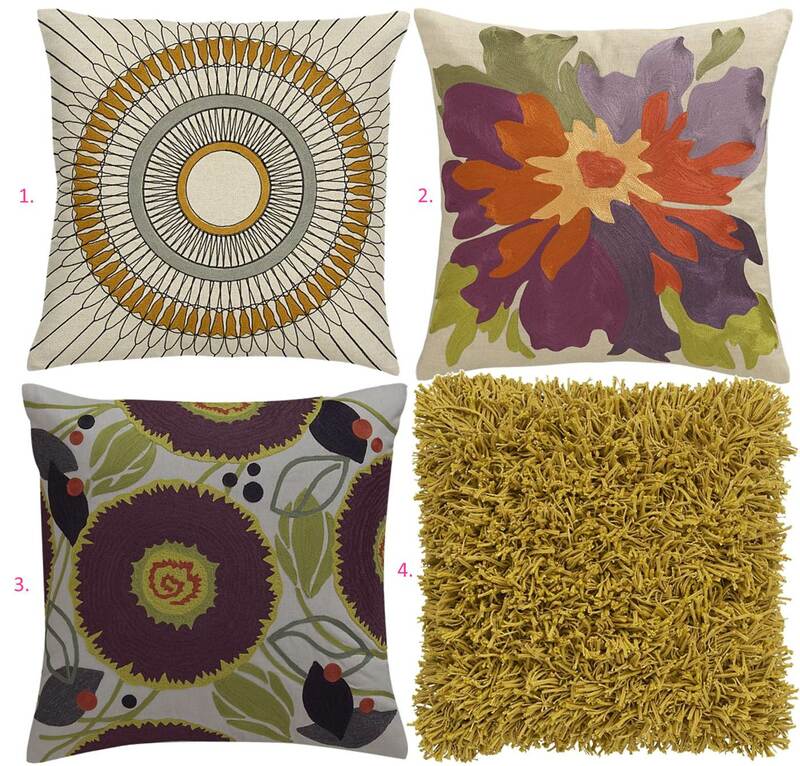 Simply just type in "throw pillow" in the search bar and start exploring the over 46,000 varieties! 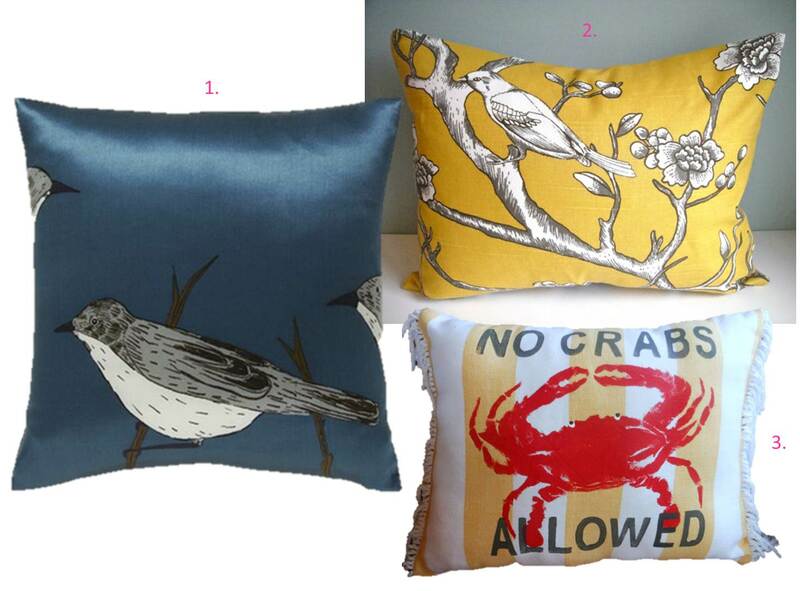 Here are some of my favorites I've found on Etsy and other various sites. All under $50 because it's just ridiculous to spend more than that - - especially if you buy as many as i do. ~ Instead of investing in a ton of different pillows, purchase a few pillow inserts from craft stores such as Michael s, Hobby Lobby, etc. that way you can just switch up the covers when it's time for a change. ~ I always prefer an odd number of pillows when it comes to placements. 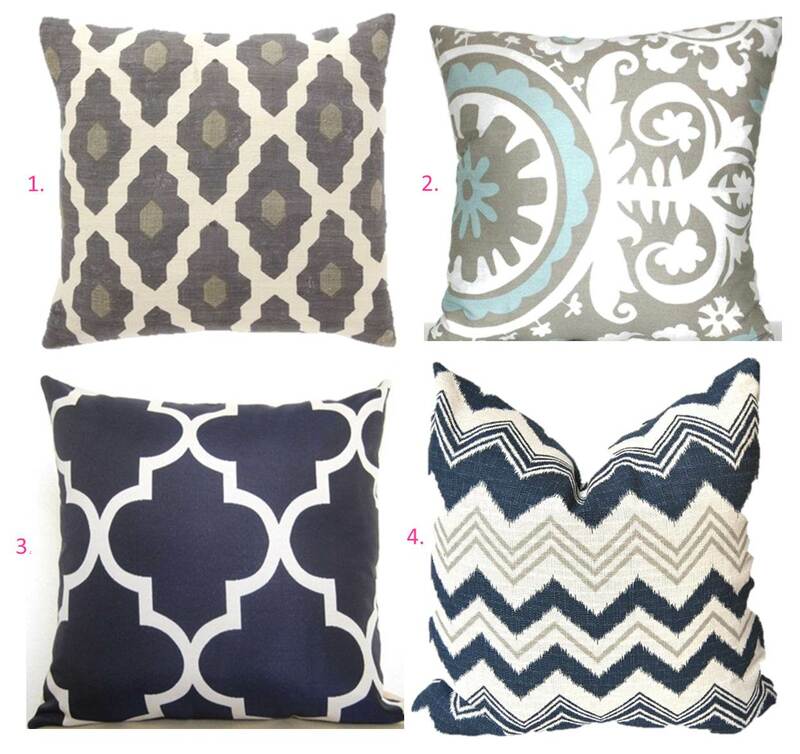 So 3, 5 or even 7 if you dare to get pillow crazy! 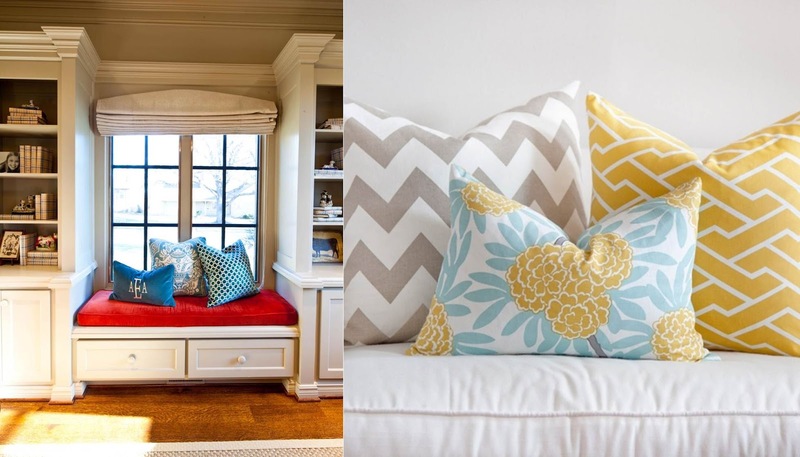 Try mixing and matching different prints and shapes for a more custom look. ~ Train your husband and/or kids NOT to lay on them! They'll lose their shape and end up looking old quickly. I've struggle with this pretty much everyday...fighting the argument..."What good is a pillow if I can't lay on it!